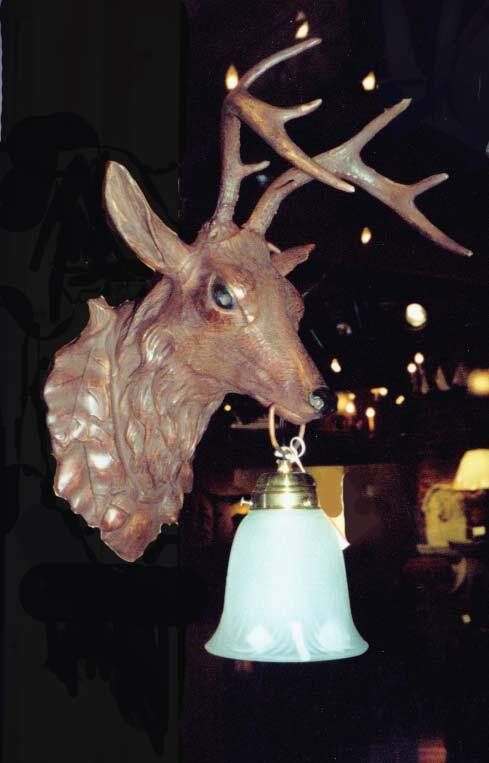 Description: Stag sconce with glass light in mouth. 9" wide at base. 12" wide horn. (5" wide at base if neededwithout oak leaf collar.) Resin &steel. Shades extra.